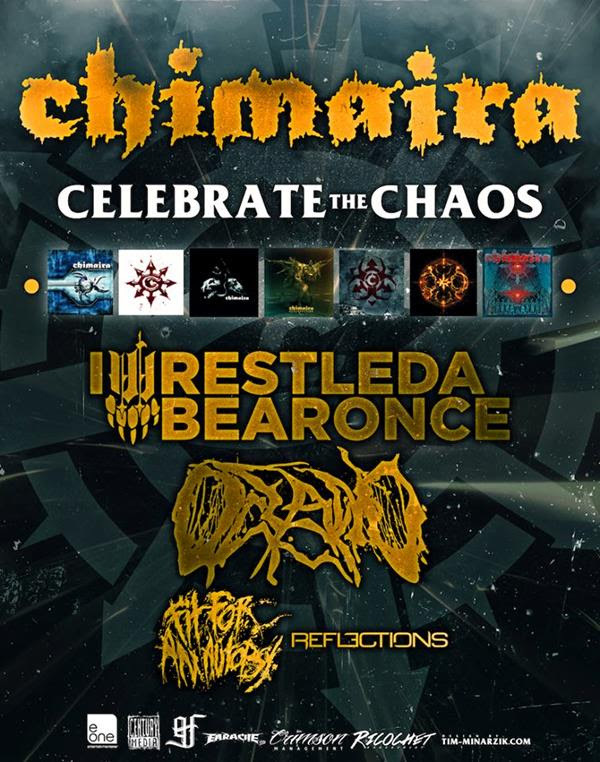 Chimaira have released a brand new music video for their “Wrapped in Violence” track, leading up the kick-off of their ‘Celebrate the Chaos Tour’ this weekend. The band will be joined on the tour by Iwrestledabearonce, Oceano and label-mates Reflctions and Fit For An Autopsy, during which they will play setlist drawing from all seven of the band’s LPs. The tour dates and poster, as well as the new video for “Wrapped in Violence”, are below.